Amazon’s Northern Virginia headquarters promises to bring about 25,000 commuters to the newly-branded National Landing area, prompting many residents to picture clogged roads and Metro stations. But regional transportation leaders have some plans in the works to ensure that the HQ2 era doesn’t bring crippling gridlock. 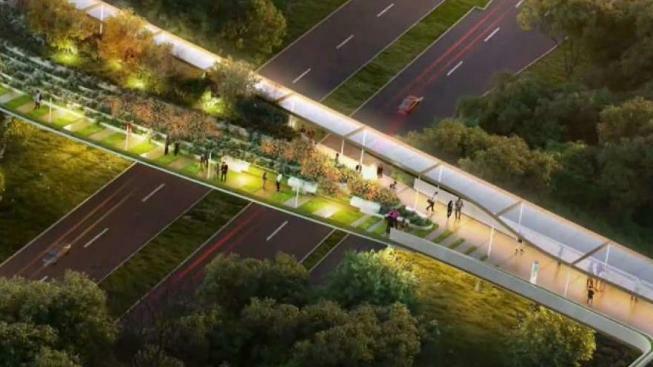 Developers released renderings of a gleaming bridge running between Crystal City and Reagan National Airport. The Crystal City Business Improvement District proposed a bridge in 2017 that would cut the walk between the two areas down to five minutes, news partner WTOP reported. Even Metropolitan Washington Airport Authority head Jack Potter joked that it may have been helpful Friday, when those trying to get to or from Reagan National Airport got stuck in extraordinary traffic. "We had a lot of people walking, I wished we had better accommodations for them," Potter said. National Landing is in Blue and Yellow line territory, and stations in the area are scheduled for serious maintenance. Crystal City and Reagan National Airport stations were closed during Veterans Day weekend for repairs; six other Northern Virginia stations on the lines will close for all of summer 2019 so crews can repair crumbling platforms. Metro plans to do more than just address pressing issues. The Crystal City Metro stop, served by Yellow and Blue line trains, will get a second entrance. The yet-to-be-built Potomac Yard Metro station will also get an extra entrance to keep foot traffic flowing. "I’m excited about it," Metro General Manager Paul Wiedefeld said. Amazon's news is spurring agencies to fast-track projects already in the works, including traffic upgrades to Route 1, also known as Jefferson Davis Highway. The Virginia Department of Transportation says crews will add two more lanes, add a sidewalk, build a bridge at Marumsco Creek and other improvements costing about $167.8 million. The road currently accommodates 35,000 vehicles every day, according to the VDOT. In 2036, VDOT projects 75,000 vehicles will use the road daily. 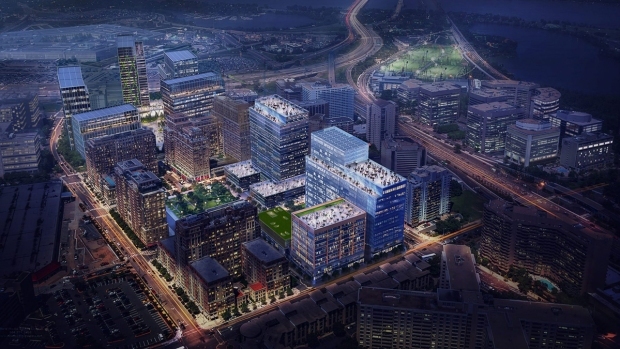 Developer JBG Smith highlights easy access to I-395, the George Washington Parkway and Routes 1 and 10 from the HQ2 site.